AL Naveed Ac System Installation LLC, is a Dubai based service provider in the field of HVAC, Air-conditioning, Refrigeration & Electronics Equipment Repairing & Installations. We are Diversified Service Provider for AC Maintenance Dubai. AL Naveed Ac System Installation LLC is a branch Company of Power Cool Trading L.L.C, Deira Dubai. One of the leading AC spare parts suppliers Dubai & Refrigeration Equipment wholesalers and distributors in Dubai. Established in 2010, But having experience of more than 25 years in HVAC Industry. AL Naveed AC System Installation LLC has successfully been serving the UAE market for more than 8 years. 25 years of Experience in HVAC Industry. That is Excellence! We have always been committed to the quality and excellence of our services. For this reason, we are one of the leading HVAC maintenance company in Dubai. Our High level of customer satisfaction & A/C maintenance services destined to meet the demand of our customers. A fact achieved, thanks to the experience and professionalism of our technical and commercial maintenance team, always in continuous training. 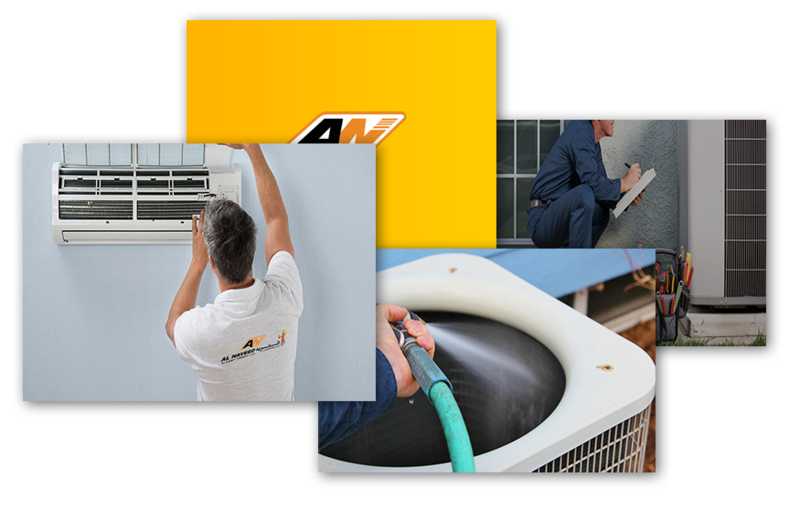 To guarantee a cured AC maintenance service and a more personalized ac repair & maintenance service in Dubai to adapt the needs of our customers. This degree of exigency has allowed us to grow next to our clients. By trust For satisfaction guarantee. And above all, to be faithful to the legal and regulatory requirements of our sector. Loyalty between what we are committed to and what we do. Commitment to the client to understand what brings value and focus on providing this value in everything we do. Commitment to work ethics, integrity and honesty as well as compliance with the legislation that applies to us. Confidence in our possibilities and knowledge. Honesty with the customer and ourselves. Responsibility when assuming our obligations. Quality in our work and attitude as a starting point to achieve continuous improvement. Order in the execution of our work in a coordinated way. Teamwork based on relationships based on trust and respect. This assumes the commitment to align the facts with the words, listen to different opinions and communicate in an open and sincere way.